“Apology to Aboriginal and Torres Strait Islander People from the Australian Psychological Society Disparities between Aboriginal and Torres Strait Islander Australians and other Australians on a range of different factors are well documented. Aboriginal and Torres Strait Islander people experience much higher rates of psychological distress, chronic disease, and incarceration than other Australians. They manage many more stressors on a daily basis and, although suicide did not exist in their cultures prior to colonisation it is now a tragically inflated statistic. Today, the Australian Psychological Society issued a formal apology to Aboriginal and Torres Strait Islander People, acknowledging psychology’s role in contributing to the erosion of culture and to their mistreatment. 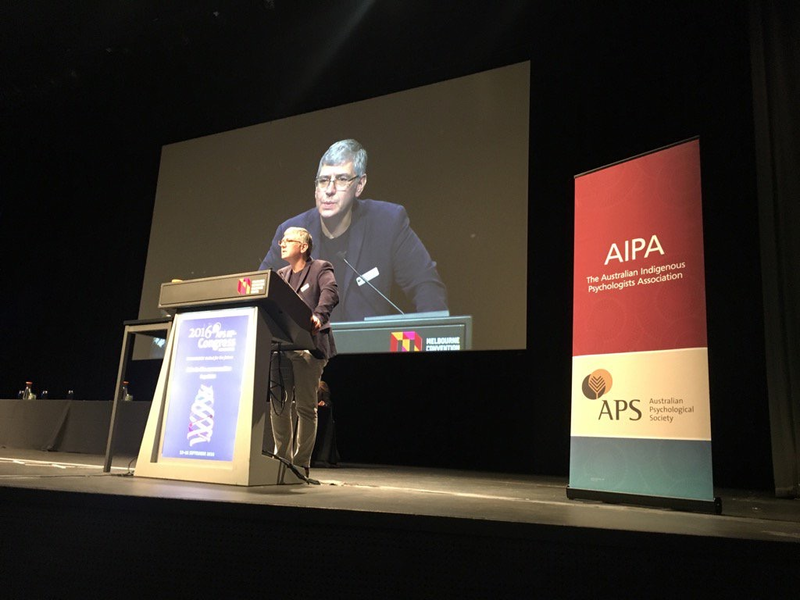 APS President Professor Michael Kyrios said the apology was an important move in redressing past wrongs and ensuring the psychology profession collaborates and appropriately serves Aboriginal and Torres Strait Islander people. 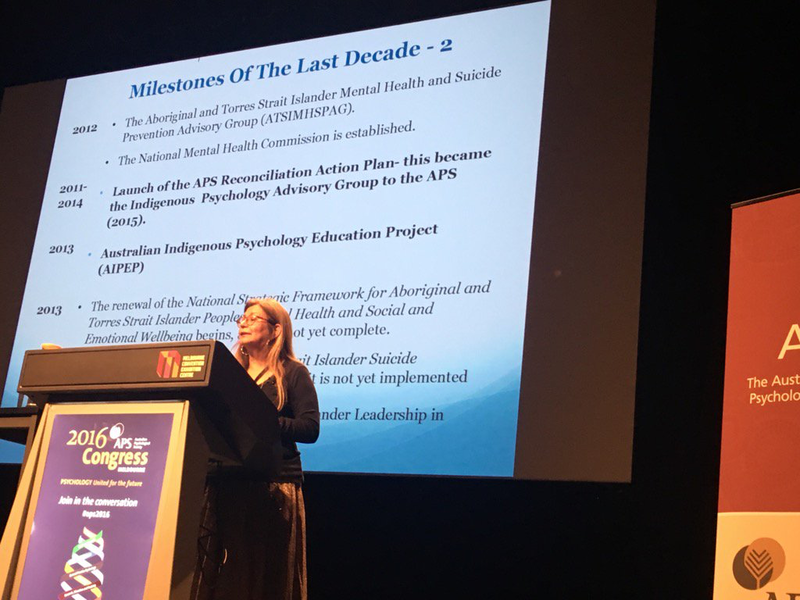 The apology was made at the Australian Psychological Society Congress 2016 in Melbourne following a keynote by Professor Pat Dudgeon on an emerging Aboriginal and Torres Strait Islander psychology. Apology to Aboriginal and Torres Strait Islander People from the Australian Psychological Society Disparities between Aboriginal and Torres Strait Islander Australians and other Australians on a range of different factors are well documented. Aboriginal and Torres Strait Islander people experience much higher rates of psychological distress, chronic disease, and incarceration than other Australians. They manage many more stressors on a daily basis and, although suicide did not exist in their cultures prior to colonisation it is now a tragically inflated statistic. The fact that these disparities exist and are long standing in a first world nation is deplorable and unacceptable. 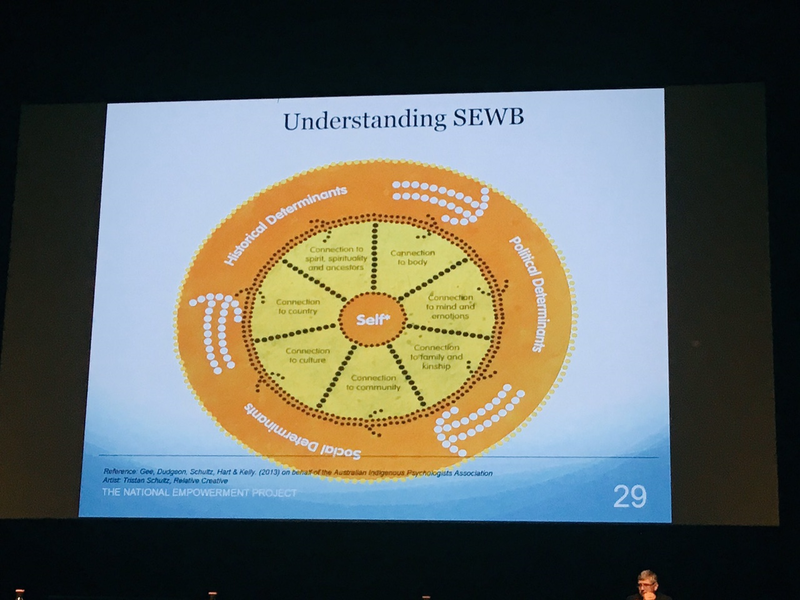 As we understand these challenging issues in relation to wellbeing and health, it is very important that we tell the stories of the strengths and resilience of Aboriginal and Torres Strait Islander peoples and communities. Aboriginal and Torres Strait Islander people are the proud custodians of the longest surviving cultures on our planet. With this in mind, Aboriginal and Torres Strait Islander peoples’ resilience and resourcefulness could make a significant and positive impact on Australian society should they have the opportunity to contribute routinely in their areas of expertise. Our silence and lack of advocacy on important policy matters such as the policy of forced removal which resulted in the Stolen Generations. Collaborating more and commanding less. Through our efforts, in concert and consultation with Aboriginal and Torres Strait Islander people, we envisage a different future. This will be a future where Aboriginal and Torres Strait Islander people control what is important to them rather than having this controlled by others. It will be a future in which there are greater numbers of Aboriginal and Torres Strait Islander psychologists and more positions of decision making and responsibility held by Aboriginal and Torres Strait Islander people. Ultimately, through our combined efforts, this will be a future where Aboriginal and Torres Strait Islander people enjoy the same social and emotional wellbeing as other Australians.